Images of the physical mill so far (most of the work I've done in the past two weeks while I've had something close to pneumonia). This is the ArduFrauenfelderCNC so far! It hasn't really changed that much since I last showed it off. 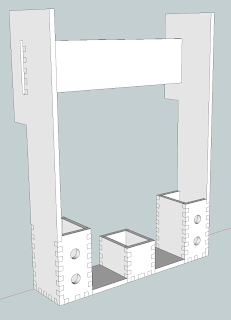 The gantry has been modified to allow linear bearings to be fitted and 10mm steel rods to be fitted for Z-axis motion, as well as support structures for the lead ballscrew. The base unit hasn't yet been modified for actual use. It needs parts for the lead screw support and stepper motor placement (which will be 3D printed to allow varying motors to be used). 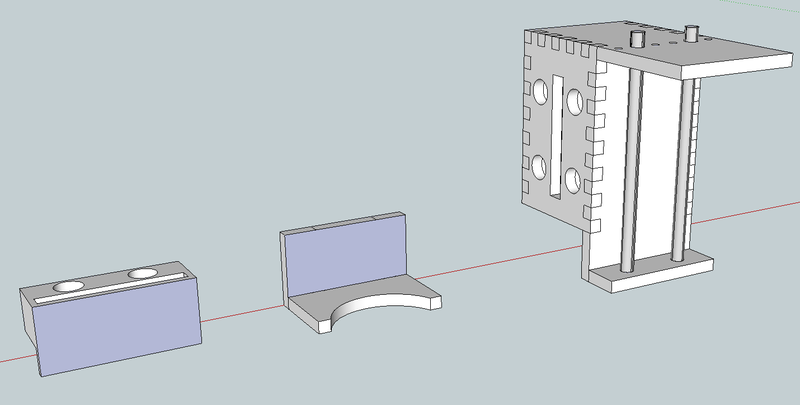 Talking of 3D printing I have also designed printed structures for the controller board holder (top left image), as well as the Z-axis linear bearing manifold (centre image, last item in image). 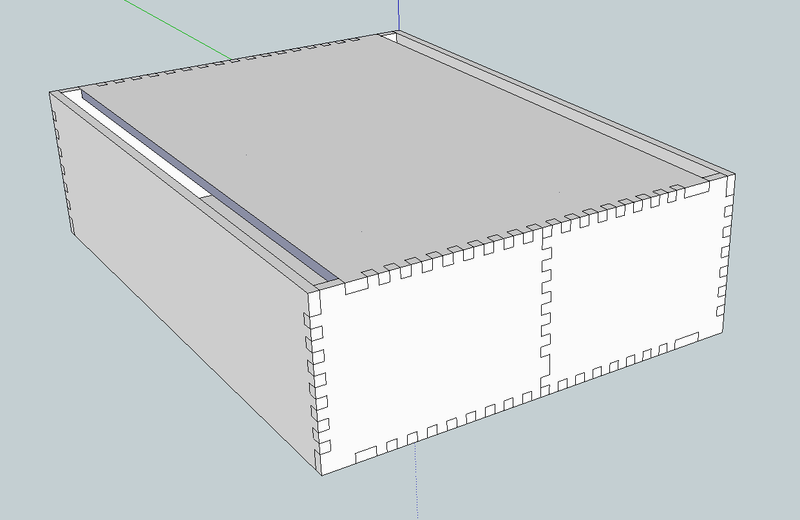 I haven't decided on a dremel, or cousin, for use as the drill yet so the Z-axis isn't quite right yet. Once I do pick one I'll get it ready for cutting, more than likely having to modify dimensions to get the unit right for an actual drill. 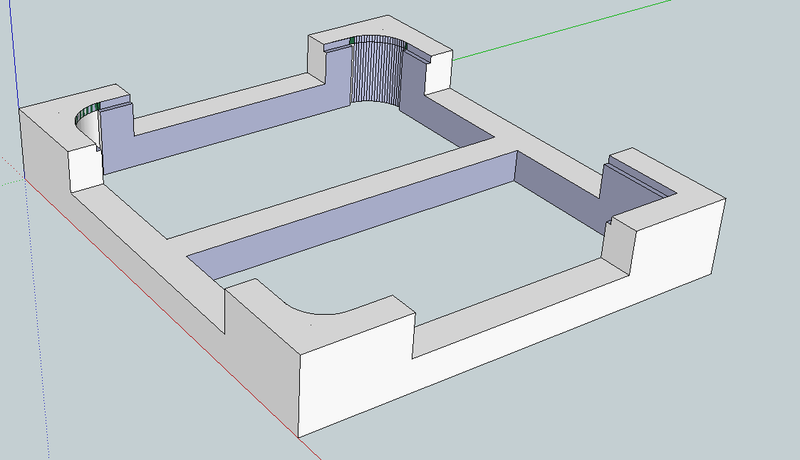 I'm going to do a test run of the physical mill once I have to all laid out in SketchUp the way I want it (that is I'll take the incomplete mill and send it to be cut at Ponoko so as to see if it's working as designed). So the reason I got a bee in my bonnet? That would be thanks to Chris the Carpenter at Rocket Brand Studios. I stumbled across his magnificent propeller-based TX for his robots last year and a couple weeks ago re-stumbled it (I really love that thing). Once I found the page about it I started looking at his blog posts and found a video of him milling lexan for a 3D printer. He just really inspired me again to get my arse in gear and get my baby finished. To which I would have to thank him! I'll continue to get the mill up to speed in the coming months and post as I make progress.